This deck is dedicated to Christopher Columbus and his discovery of the Americas. The Fool depicts a 16th century print of Columbus. 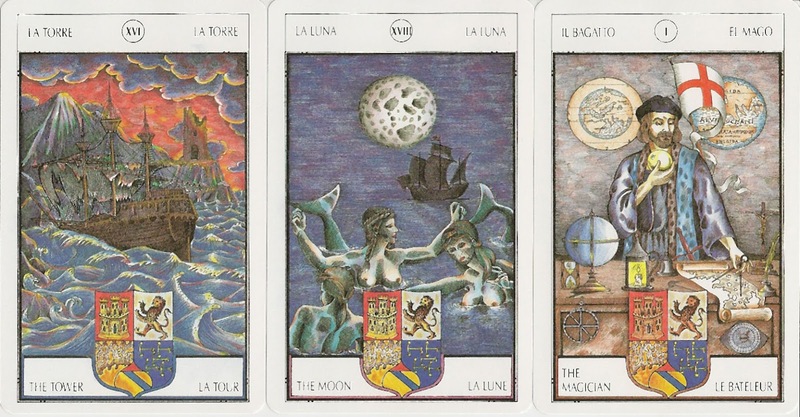 The suit of wands corresponds to the element Fire, in this deck it is associated with the discovery and exploration of the new continent. Cups corresponding to the element Water and is associated with the vast dimensions of the Ocean. Swords corresponds to the element of Air and is associated with the Spanish colonisation of the new continent. 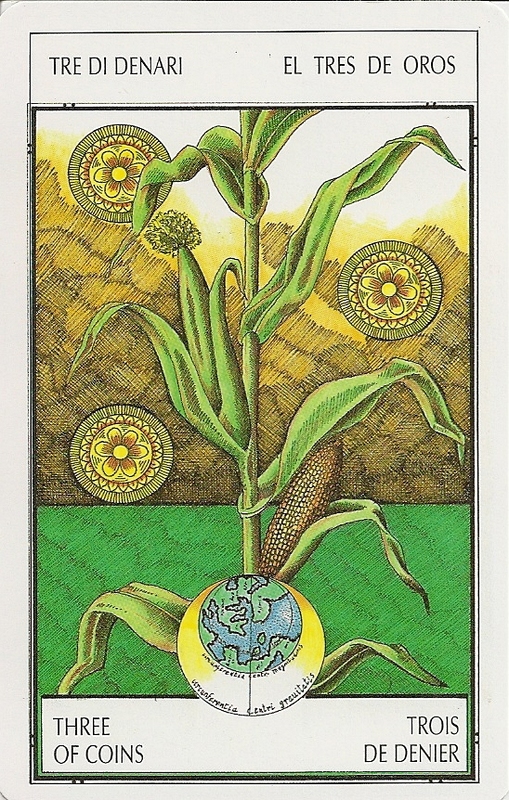 Pentacles corresponds to Earth and is associated with wealth and natural resources of the Americas. 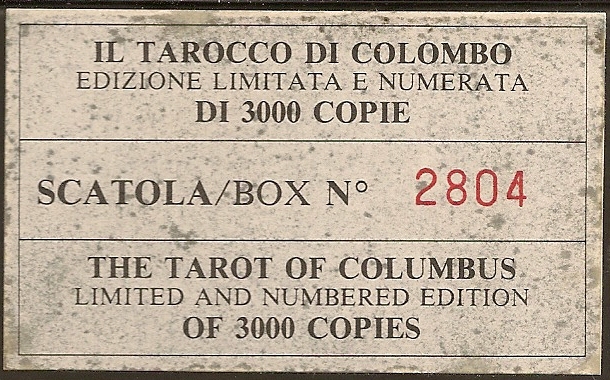 The deck came in a solid box with an LWB in four languages (English, Italian, Spanish and French). It is a limited edition of 3000 copies, mine is number 2804.